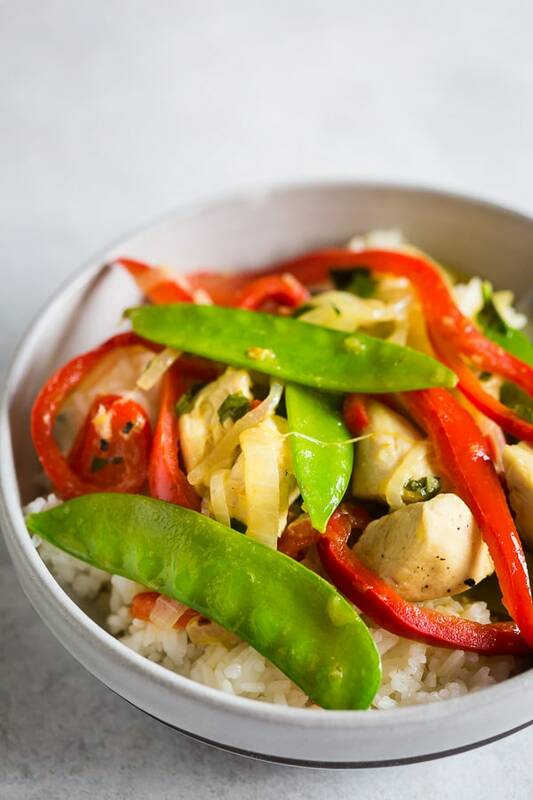 This chicken snow pea green curry cooks up in just 20 minutes and packed full of delicious curry flavor. This dish is fragrant, full of vegetables and the perfect crazy weeknight rush meal. Your whole family will love this dish! I have a new obsession and that obsession is Simply Balanced sparkling water from Target. No, this is not a sponsored post. I just seriously need to talk about this water because it’s blowing my damn mind. My two favorite flavors are the ginger peach and watermelon and I need you to go buy them right now. Seriously, you will not regret this purchase. Plus, who doesn’t love sparkly cold water in the hot hot summer? It’s only a slight exaggeration but I might have consumed somewhere around 400 cans this weekend. But for real it’s hella delicious and highly recommended. I’m also going to highly recommend this chicken snow pea green curry but it’s also hella delicious! 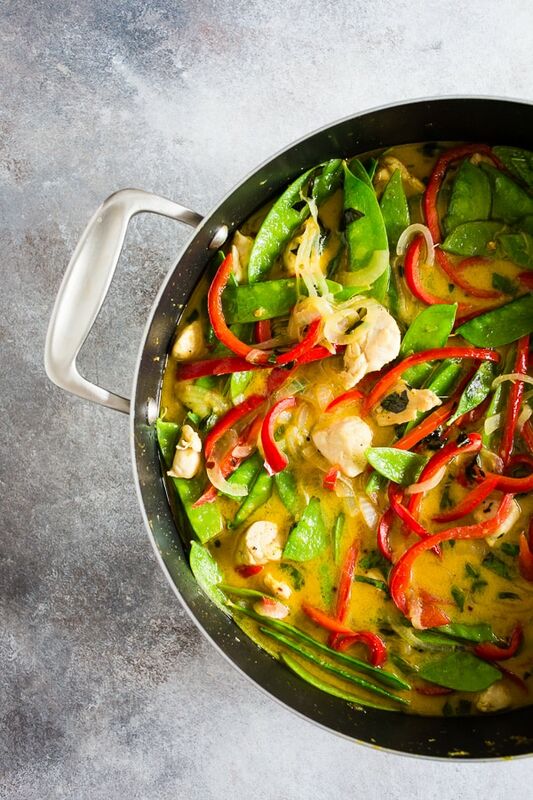 Plus, curry tastes amazing and is the perfect flavor to go with all your summer vegetables. And if you’re really into fast weeknight meals this 100% fits the bill. 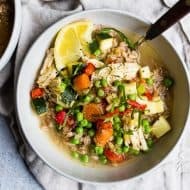 This chicken snow pea green curry cooks up in just 20 minutes and if you throw in prep time you’re talking 25 minutes. 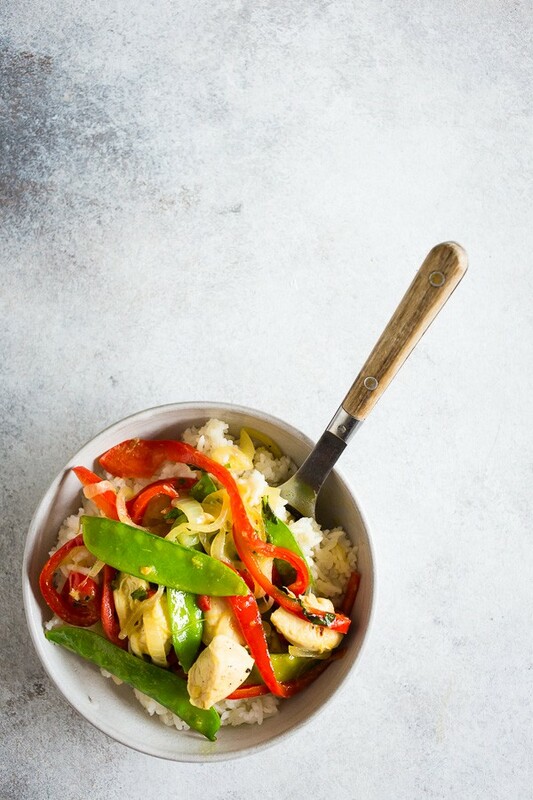 Of course, you can customize what veggies go into this recipe based on what you have on hand but I personally think this yellow onion/red bell pepper/snow pea is a great combo. The best part is you can pick up the green curry paste from the store or Amazon. So easy! Every single time I make something with snow peas I think to myself “why don’t I cook snow peas more often?” so they are on the top of my list lately. Plus they are super crunchy and that is always a plus in my book! 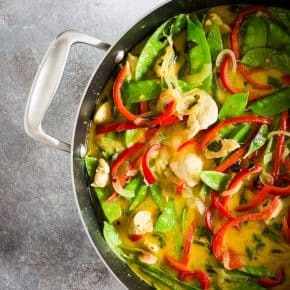 This chicken snow pea green curry cooks in just 20 minutes and packed full of delicious curry flavor. This dish is fragrant, full of vegetables and the perfect crazy weeknight rush meal. Your whole family will love this dish! In a deep 12-inch skillet add 1 tablespoon olive oil and set over medium high heat. Add the chicken and cook for about 5 minutes until the outside is no longer pink. Remove from the skillet, put on a plate and set aside. In the same skillet add remaining 1 tablespoon olive oil, green curry paste, grated garlic, grated ginger and grated lemongrass. Mix together to combine. Add the onion and red bell pepper and cook for 5 minutes or just until they start to soften. 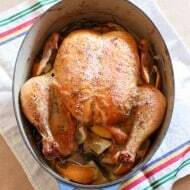 Pour in the chicken stock, bring to a boil, lower the heat and simmer for about 3 minutes. Add in the coconut milk, snow peas and the chicken. Simmer until all the ingredients are warmed through and the snow peas just start to soften - about 5 minutes. You don't want to the coconut milk to boil so just keep it at a gentle simmer. 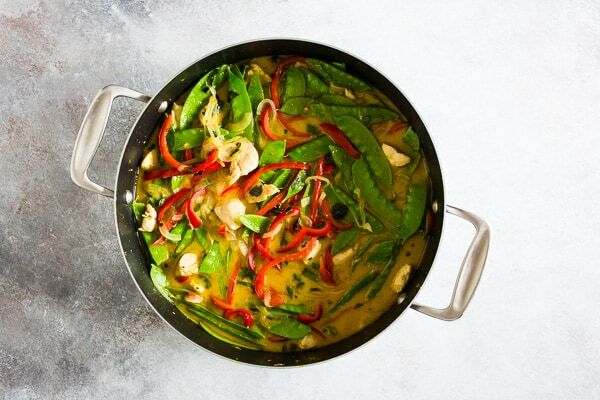 Once the curry is done remove from the heat and stir in the basil and lime juice. 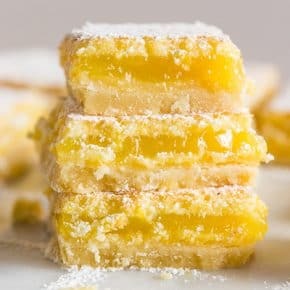 I’ll be making this one night soon! This is definitely going on my list to make soon. 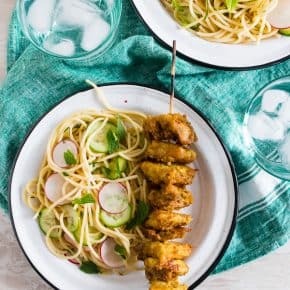 I love quick weeknight meals, plus this does look hella good! 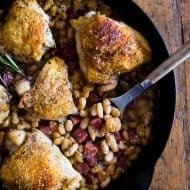 I’m all for a quick, healthy weeknight dinner, and this fits the bill! 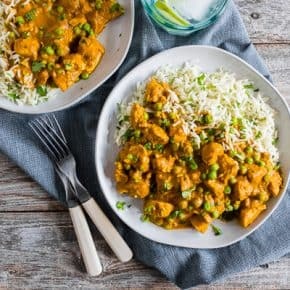 I have a feeling my husband would ADORE it, too, since he’s always asking for curries! 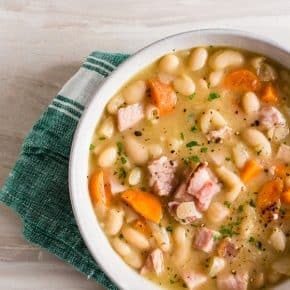 This is going into my weekly meal plan because it looks AH-MAZING! Yummy! 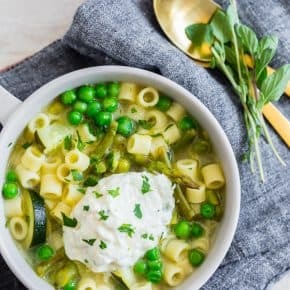 This looks like a perfect summer recipe! I love just about anything curry! 🙂 This looks delicious- loving the vibrant colors. Mmmmm, loving the flavors of this. I am so going to check out that water, I am all about watermelon flavors! What a beautiful dish with all those vibrant colors!! All those flavors and colors are screaming my name! I love dinner when it’s colorful like this! 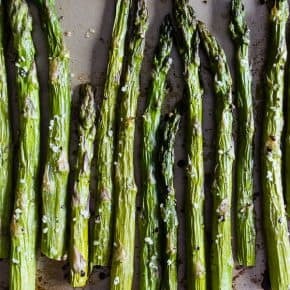 Easy and delicious weeknight meal!